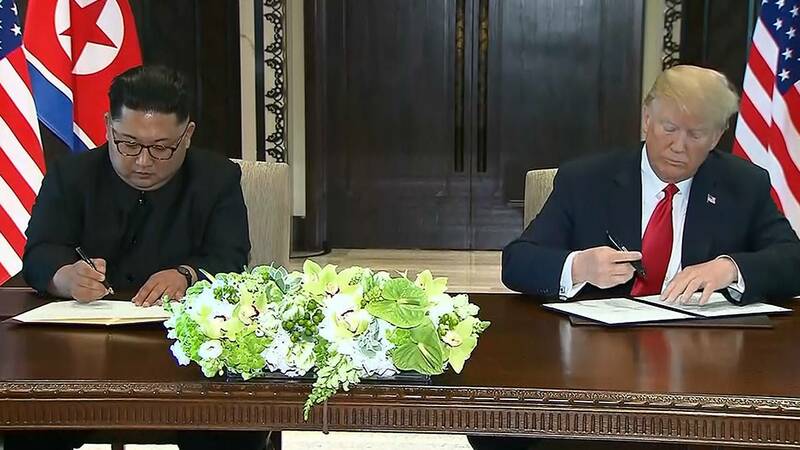 The United States and the DPRK commit to establish new US-DPRK relations in accordance with the desire of the peoples of the two countries for peace and prosperity. The United States and DPRK will join their efforts to build a lasting and stable peace regime on the Korean Peninsula. Reaffirming the April 27, 2018 Panmunjom Declaration, the DPRK commits to work toward complete denuclearization of the Korean Peninsula The United States and the DPRK commit to recovering POW/MIA remains, including the immediate repatriation of those already identified.